Eyelid surgery, commonly known as an “eyelid lift” and clinically referred to as blepharoplasty, is a surgical procedure designed to rejuvenate the eye area. During the procedure, the upper and/or lower eyelids are tightened to make the patient look more rested and relaxed. Dr. Mani uses Harmonic (ultrasonic) technology to perform both upper and lower blepharoplasty. This technique is much gentler to these delicate tissues and results in a quicker recovery with less swelling and bruising. 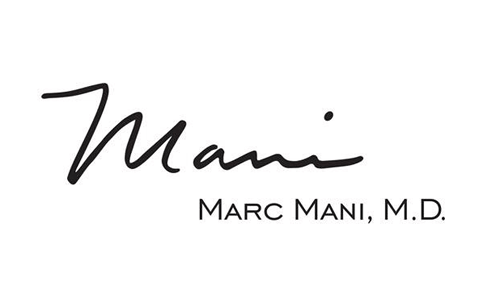 The intricacies and complexities of eyelid surgery require the skilled hand of a board certified plastic surgeon like Dr. Marc Mani. Dr. Mani’s unique talent is preserving his patients’ unique beauty while simultaneously making them look younger and more rested. Suitable eyelid surgery candidates are in good physical and psychological health, do not smoke and have reasonable expectations of the surgical outcomes. Dr. Mani meets with potential candidates on a one-on-one basis to perform a physical examination and discuss the procedure in greater depth. During your consultation, Dr. Mani will inquire about your medical record, including any previous surgeries, health conditions and medications you take. He will examine your eyelids and inquire about your expectations of surgery. This information helps him decide whether eyelid surgery is suitable for your needs. Once he’s determined you are a good candidate, you will set goals for the procedure and talk about the (rare) risks, how to prepare for surgery and guidelines for recovery. You are encouraged to ask questions and bring up any concerns you have about surgery. Eyelid surgery is performed on an outpatient basis at our accredited surgical facility. Typically, local anesthesia and sedation medications are administered; general anesthesia is very rarely used. If Dr. Mani takes the traditional approach, he will make the surgical incisions either in the natural crease of the upper lid or along the lash line. Through the incisions, Dr. Mani will remove excess fat and skin, and tighten the muscles and remaining skin. Alternatively, Dr. Mani could use the transconjunctival approach and make an incision in the lower lid to remove excess fat (not skin). After making the necessary modifications, Dr. Mani will close the incisions with small sutures. After your procedure, the eye area will have some swelling and bruising, and vision might be blurry for a few days. These symptoms are temporary and usually resolve within 10 days. Dr. Mani will follow up with you to remove your stitches and check your healing progress. He will let you know when you can return to work, exercise and your normal activities. Eyelid surgery will not stop the aging process. Eventually, everyone will have visible wrinkles around their eyes. However, eyelid surgery will immediately reduce the most obvious signs of aging. Also, it is unlikely that undereye bags or puffiness will return after the lift is performed, because the fat will have been removed. If you have deeper wrinkles around the outer area of the eye, extending onto the temple, you may explore your laser resurfacing options to treat them. To schedule a consultation with Dr. Mani and learn more about your eyelid surgery options, please call our office at (310) 203-0511 or send us an email today.